Save 60% and get free shipping! 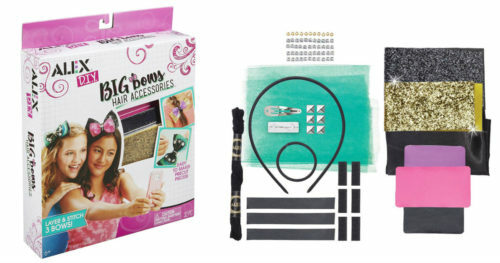 Score this Alex DIY Big Bows Hair Accessories Kit for only $4.86, regularly $12.00. Layer and stitch precut shapes into 3 fashion forward leather-like accessories. This is an add-on item and will ship with qualifying orders of $25 or more.